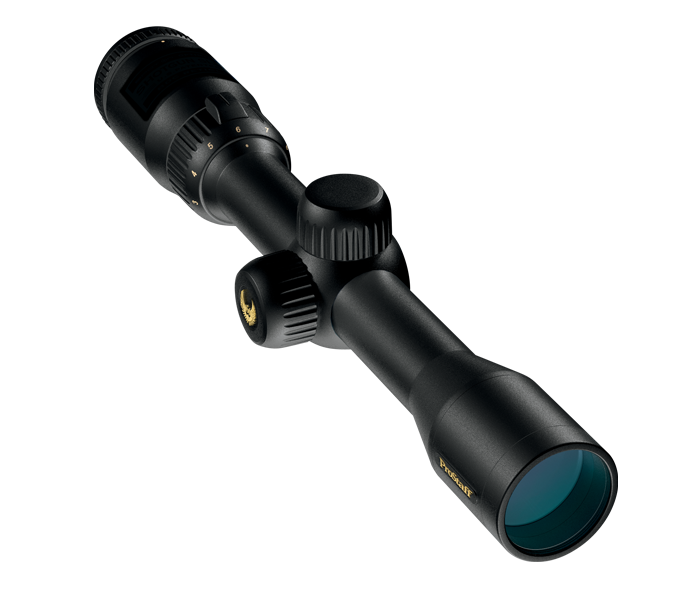 Nikon's BDC 200 Reticle: Designed for use with aerodynamic polymer-tipped slugs and muzzle velocities of 1900-2000 fps, this trajectory-compensating reticle integrates unique, easy-to-see "ballistic circles" that provide instant aiming points—and takes the guesswork out of holdover at longer ranges. Fully Multicoated Optical System: Provides optimum light transmission and brightness from dawn to dusk. Zero-Reset Turrets: To simplify field adjustments, Nikon has integrated this feature into all new riflescopes. Just sight-in as usual, then lift the spring-loaded adjustment knob, rotate to your "zero", and re-engage. Field adjustments are now as simple as dialing-in your subsequent ranges. Precise, 1/4-MOA Click Adjustments: Positive click hand-turn reticle adjustments get you zeroed in quicker and maintain your setting—even with heavy recoil.